We all know that African tribal-wear is trending hard, but have you ever really looked into exactly what factors may have contributed in making this a trend to start with? Meet 3 influential photographers that drew us in…. Phyllis Galembo is mostly known for her photographic documentation of native tribes. We were attracted to her most recent work of photographing West African tribes in ritual adornment for mainly religious purposes. 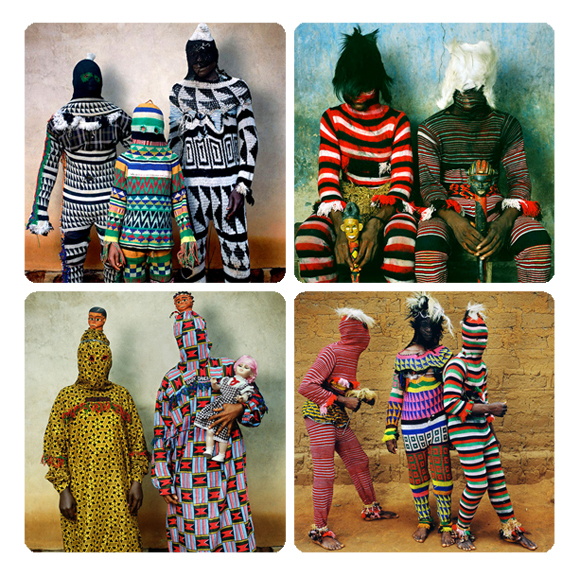 Check out the fully bodied costumes composed of geometric patterns, stripes, and colorful zig zags. 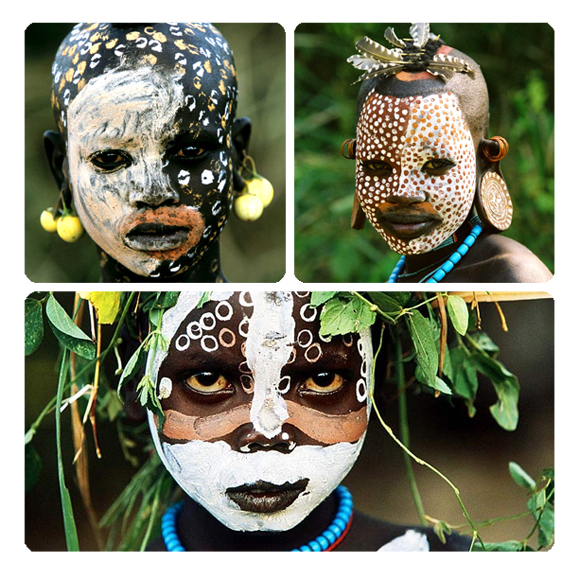 German photographer, Hans Silvester caught our attention with his beautiful and emotional work depicting the temporary bodily decoration by tribes in southern Ethiopia. 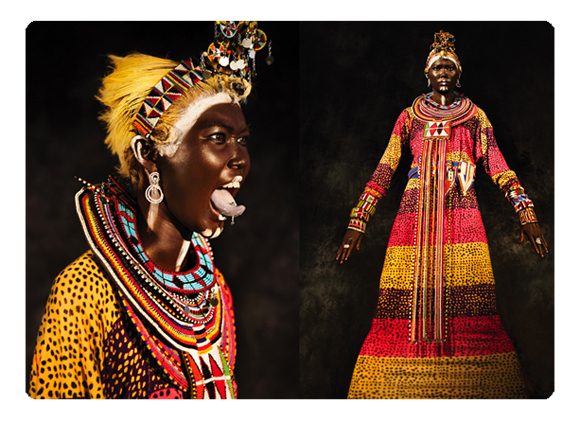 The people of the Omo Valley, use flora and fauna to embellish their faces and body with perfectly composed color palettes and finger painted motifs that can easily inspire a fresh take on textile designs. The photographers at Herring & Herring focus on fashion photography, but we came across their Tribal shoot and we were instantly mesmerized by how they took the tribal concept to an extreme of colors and patterns. Amazing. Inspired? Look at our african inspired and royalty-free textiles HERE! This entry was posted on Monday, October 11th, 2010 at 12:54 pm	and is filed under Inspiration, Mood Boards, Trends. You can follow any comments to this entry through the RSS 2.0 feed. You can leave a comment, or trackback from your own site.